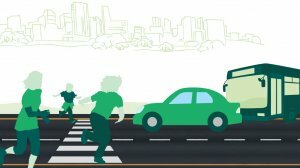 The Global status report on road safety 2018, launched by WHO in December 2018, highlights that the number of annual road traffic deaths has reached 1.35-million. Road traffic injuries are now the leading killer of people aged 5-29 years. The burden is disproportionately borne by pedestrians, cyclists and motorcyclists, in particular those living in developing countries. The report suggests that the price paid for mobility is too high, especially because proven measures exist. Drastic action is needed to put these measures in place to meet any future global target that might be set and save lives.